Hey I am Atul, Atulpriya Sharma aka Atulmaharaj online. Currently working as a Senior Software Engineer at Wipro Technologies. I’m an alumni of Amity University, Noida, The Brigade School, Bengaluru, New Era High School, Panchgani(Taare Zameen Par waala school) I am a POLYGLOT (Hindi,English,Gujarati, French, Marathi, Malayalam, Telugu under process) Interested in cooking, listening to music, and trying out new things and an enthusiast in learning new languages. I played professional cricket and have represented my school at various districts and zonal level tournaments. I am also interested in Drawing and Painting. and have won several Regional and National Awards. I have passed the State Level Elementary and Intermediate Drawing exams . I am an avid quizzer and have a deep interest in Politics, Law and Indian History. 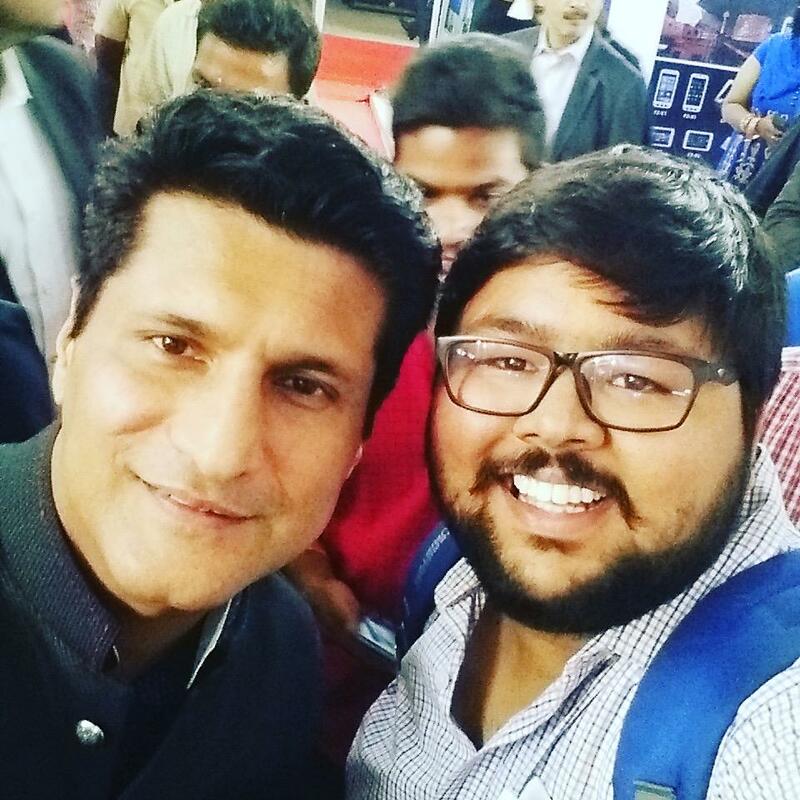 Atulmaharaj with MasterChef Kunal Kapoor at National Street Food Festival, New Delhi. I was in the Prefect Council for 3 consecutive years and also the Head Boy of the New Era High School. I was made Secretary of Art and Performing Arts at The Brigade School. I represented my school in the Cadbury Bournvita Quiz Contest in February 2005 at Kolkata. Jab Atulmaharaj met Amir Khan ! Hey Atul..was just reading about you…you do wear many hats..indeed fascinating to see the elite list of schools and colleges. I find a lot of things in common except probably the gender, age, drawing and painting:) So what is in common then?? I was also a university cricket player(once upon a time..) an avid quizzer and hosted a debating club in school. How was Amity Noida? My elder son is in PES doing his engg in ECE stream, maybe he can connect with you through mail/linked in…if you do not mind.. Thanks Sunitaji. Glad to hear you played cricket too (not many I know who played cricket) and enjoy quizzing. Amity was good, great atmosphere, good exposure – the studies, fests everything. I have friends who studied/are studying at PES. Sure would be glad to connect with him on LinkedIn, I don’t mind at all. Thanks again for stopping by and constantly motivating me to come up with quality posts ! 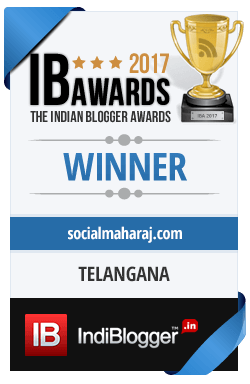 Hey Atul, I noticed and I am happy that you are following my blog. I have followed you back too, for your sheer interest in so many things & it amazes me. Great going and I wish you loads of good luck ! I dont have any idea of physical shops selling arduino in Delhi, but for electronic components, Lajpat Rai Market, Chandni Chowk is perfect. From resistors, diodes, breadboards, sensors you will find everything. I was searching online for buying arduino kit in delhi and stumbled upon your blog. Would like to know where did you buy your kit from? I am a newbie (I did Electronics Hons. way back in 2006), and need some advice on how to start with arduino (which kit to start with and how). Visited your site for the first time today, proud of you!! Your comments surely show that you have your heart in the right place. However, for me, the only Atul that comes to my memory is of my studious, respectful student with an ever-ready smile on his face!! Keep it up, dear. Will continue to read your blogs. Interesting!! Thank you so much ma’am for those kind words. Being praised by a teacher is THE BEST thing that can happen to a student.I have always had – and will always have – high regards and respect for my teachers. New Era has been the greatest thing that has ever happened to me. I am deeply indebted to each and everyone there. I am grateful for your never ending support. I hope your well wishes are always with me so that I am always ready to face new challenges in my life. Also do try out some recipes on my website and let me know your feedback. This site has come up due to my interest in cooking.